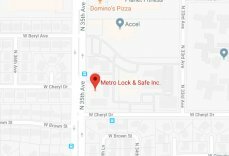 Locksmith 85051 | Local 24 Hour Service | Metro Lock & Safe Inc.
For a locksmith, 85051 residents have a variety of choices. That can mean greater options, but can also make it more difficult to identify the wheat from the chaff. You want an experienced locksmith that’s been providing exceptional service for decades. 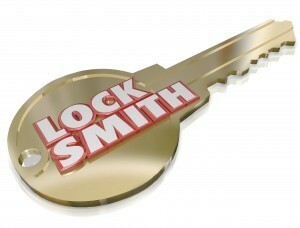 You want friendly and qualified locksmiths that get to you fast. You want Metro Lock & Safe Inc. We’ve been providing dependable locksmith 85051 services for over 30 years, and you can always rely on us. We know that customers often don’t plan for locksmith services. Emergencies can bring stress, and that’s why our locksmith 85051 services are provided by understanding and compassionate technicians. We’ve been in your situation before, and we get there in 20 minutes or less. Whether it’s the middle of the night or the afternoon, we’ll have an expert locksmith to your door with everything they need to get right to work. This allows us to provide the 85051 area code with some of the quickest, accurate, and most reliable locksmithing services around. Commercial Services – A problem with a safe, locks, or security system can stop a business in its tracks. Without swift service from a locksmith, 85051 business owners can face angry customers, revenue losses, and more. Many businesses rely on functioning security measures, and when these measure fail it can mean a security lapse that leaves assets exposed. When you need a commercial locksmith, 85051 services from our technicians are reliable, swift, and discreet.Whether you’re closing for the evening, just opening, or need help during an afternoon rush, we’re there in 20 minutes or less. Many of the businesses that depend on our services have advanced security measures in place. These protect clients and their assets. Discretion is important in the event of a compromised security system, lock, or safe. Our technicians know this, and we always exercise caution and care in order to provide efficient and reliable service that allows your business to operate uninterrupted. Home Services – Homes can contain many different locking mechanisms, security devices, and safe types. Whether you schedule service, or need immediate help, expect the highest levels of professionalism from our technicians. For a locksmith, 85051 residents trust use because we do so much more. Our locksmiths are trained to provide full security consultations in addition to system servicing. That means whether you need an upgrade, or help with a current lock, safe or security system, we can do it. Safe Services – For a locksmith, 85051 requires they have the experience and skills necessary to service any safe. No matter what brand, line, model, or type, we can provide replacement, repair, installation, cracking, combo changes and more. Safes are an easy and reliable way to keep your valuables protected. If this is your first experience with a safe, our technicians are happy to help you identify safe needs, wants, and which options will provide the security you are looking for. For complete locksmith services from a licensed locksmith in 85051 call (602) 663-9828 or Contact Us today.